cmiVFX has released their SECOND video of the C4D EVERYTHING series. In this volume you will dive deep into the modeling features of C4D. Often modeling is done with simple ‘push pull’ techniques. Here you will learn to use deformers to create what you imagine. Deformers can be an extremely powerful tool in modeling. Pavel walks you through an exploration of how deformers can speed your workflow and provide a non-destructive alternative. If you have blueprints available for your project, then this next part will be invaluable. You will be shown how to properly setup blueprints within C4D for use in modeling. Pavel will continue to show new features available in C4D version R14 that makes this setup even more powerful and easy to leverage. You will use these blueprints and new guides features during the entire course. Your results will now closely match the real world subject and set the stage for photorealism in your final render. Now that the stage is set with your blueprints, guides and deformer modeling, Pavel ‘takes it up a notch’ with Projection Modeling in Xpresso. You will learn now to throw points onto a deformed surface and then construct perfect quad topology polygons from those points. This portion is not a button pushing grade instruction. You will finish knowing how to use this technique on any of your future projects. 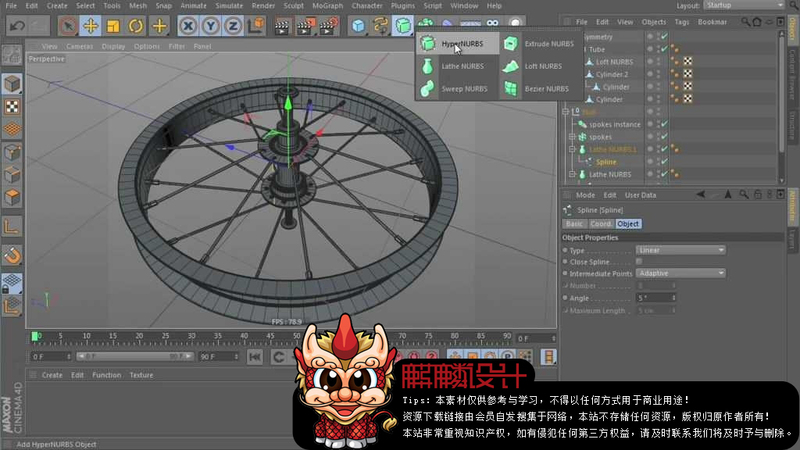 This volume two gives the beginner or advanced user a set of modeling tools that will allow highly accurate reproduction modeling within Maxon Cinema C4D.